The debate between doing a DIY paint project and hiring a professional is common among homeowners. This is partially because most people have done some type of painting in the past and are somewhat familiar with the process. Saving money by doing the project on your own may also be an appealing motivator. 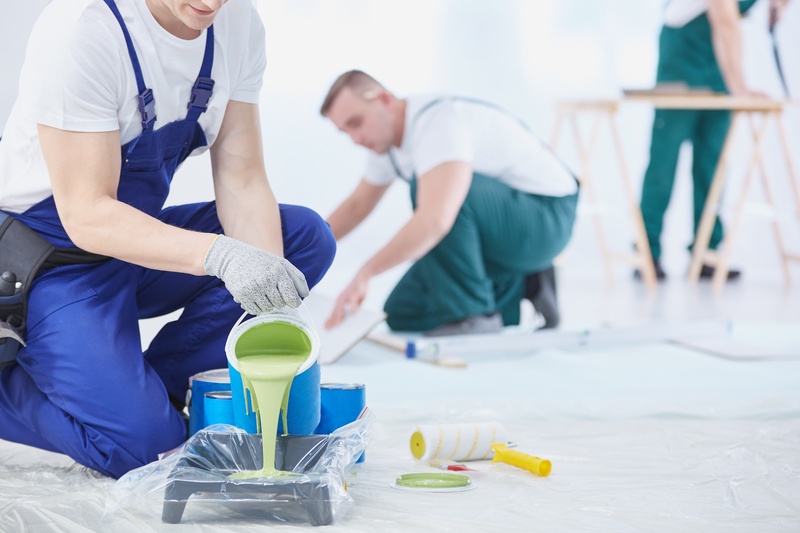 While there are some potentially good reasons for doing a paint project on your own, there are definitely compelling reasons to leave it to the professionals. You are busy. There is simply not enough time to do everything on your own. Projects around the house are a prime example of tasks that get put on the back burner when other things come up. Do you really have an entire weekend to spend sanding, scraping, and repairing the exterior siding of your house until it is ready for paint? Maybe you have a smaller painting project to get done such as the main living areas of your house. You could still end up spending a day or two prepping because it is time consuming to tape off the edges and protect anything in the area that could get damaged by paint. Limited time is a major motivator for many people to hire a professional painting contractor. Lack of experience can cause your paint project to last longer than it should and look worse than you want. A high quality paint job is the result of more than simply rolling on a couple layers of paint. There are steps you need to take to prepare the surface that will directly impact how the finished product looks. In addition, as you paint there are techniques that maximize the coverage and evenness of the coats. What about sharp paint lines? Painter’s tape alone cannot provide the sharp lines you will see from a top notch painting professional. If you recognize that you do not have the necessary experience get the finished product you desire then that is a good reason to call in a professional. What length of nap should you choose for your paint rollers? Should you go with synthetic or natural brushes? Will the time it saves make the cost of a paint sprayer worthwhile? These are all questions you should ask if you decide to take on a DIY paint project. It takes time and practice to learn which tools are best for the job and how to use them. The expense and nuances of choosing the appropriate tools for your paint job are reason enough for many people to leave painting to the professionals. If you are too busy and lack the experience or tools to do your paint project then it is time to hire professional help. There is a cost to using a painting contractor but it will save you time and potentially a lot of frustration. Start your paint job by hiring the best painting contractor in your area and you will be enjoying a high quality finished project much sooner than you would by following the DIY route.